Automatically fetches the latest firmware list from our servers. 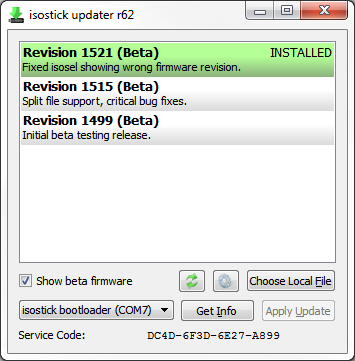 See the Firmware Update Guide for usage instructions. Older versions can be found in the archives. 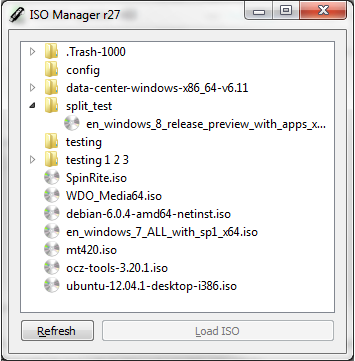 While not required to make full use of your isostick, this software automates tasks like loading an ISO into the optical drive and splitting ISOs which are >4GB (the FAT32 file size limit). See the Getting Started page for usage instructions.